The Gloworm Festival is set to celebrate its 4th year of fun, and joining them again as headline sponsor is the beloved family favourite, Playmobil UK. Fans of this iconic toy can get ready to unleash their imagination in the Playmobil village, play freely with the huge range of toys and join in with activities a plenty. With giant Playmobil figures for your little ones to pose with and characters for them to meet and greet, this really is the prefect place for you to get creative with your family. We are so excited to be returning back to Gloworm festival as headline sponsor for the second year running. 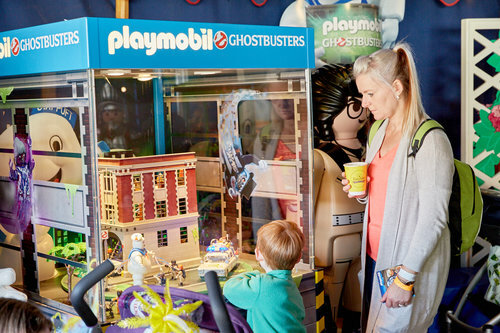 The festival allows us to interact and engage with little ones and let them experience the world of Playmobil through fun and interactive play. We are looking forward to letting everyone know what will be at the festival next year.